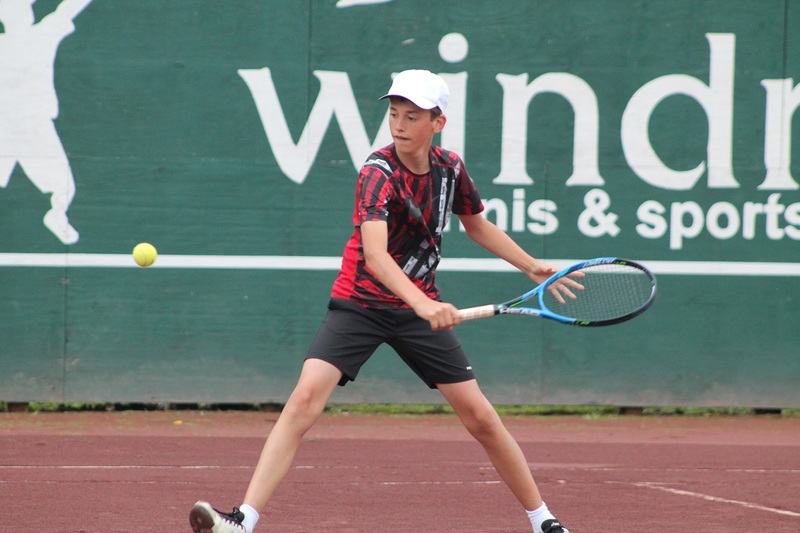 For more than a half-century, Windridge Tennis & Sports Camps in Vermont have been attracting young athletes from more than 30 U.S. states and 20 countries around the world. There has been one constant in the camp's illustrious history: Ted Hoehn. In 1968, Hoehn and Alden Bryan founded the Windridge Tennis Camp in Jeffersonville, Vt. After six years, such a long waiting list had developed that a second facility was purchased in Craftsbury Common, Vt. As that camp flourished and developed a long waiting list of its own, Hoehn and Bryan purchased the Teela-Wooket Camp, an all-girls riding camp, in 1985, and transformed it into a co-ed tennis, soccer and horseback riding camp for youngsters ages eight through 15. Hoehn, now 77, still oversees the Windridge Tennis & Sports Camp's operations. The former Jeffersonville camp is now the site of the town's Community Center. The Craftsbury facility was sold nearly 10 years ago, and is now a non-profit aerobic fitness and nature camp. So what was once a three-camp operation that Hoehn oversaw for several decades is now down to one location in Roxbury, a rural Vermont village located only 10 miles from the Sugarbush Ski Resort. Growing up in Hanover, N.H., where his father was the tennis and squash coach at Dartmouth College for 25 years, Hoehn was a talented all-around athlete. He was ranked number one in singles and doubles in New England in the 13, 15, and 18 & Under Divisions, and also achieved National Rankings in the 18 & Under, number 32 in singles and six in doubles. In addition, he captained the Hanover High School's football, hockey and baseball teams in his senior year, earning All-State honors in football and hockey. After weighing multiple offers, Hoehn accepted a tennis scholarship from the University of North Carolina, one of the NCAA's most prestigious programs. Hoehn played second singles first doubles for the Tar Heels, and captained the team in both his junior and senior year, and won the ACC and Eastern Intercollegiate Doubles Championships on two occasions. It was in college when Hoehn realized that tennis was the sport that he was most passionate about, and offered him the most rewarding future. And while Windridge offers a first-class tennis experience, Hoehn's multi-sport background is at the heart of what Windridge's philosophy is all about. He is a strong believer in letting kids play a variety of sports, and not specialize in just one at too early an age. In addition to tennis, soccer and horseback-riding, Windridge also offers electives in golf, basketball, mountain biking, archery, swimming, arts and crafts, and pickle ball. The camp runs from mid-June to mid-August. "I was a shy teenager from a small corner of the United Kingdom,” said Niki Babbott, a former camper. "I landed in the U.S. with not a lot of life experience. The only tool I knew was how to use my tennis racket. I left four summers later with a suitcase full of experience, best friends and so many fond memories. I can honestly say that Windridge played a big part in shaping me into the young woman I am today." It has been more than 50 years since the Windridge Tennis Camp was founded, and with Hoehn at the helm, it’s still going strong all these years later.